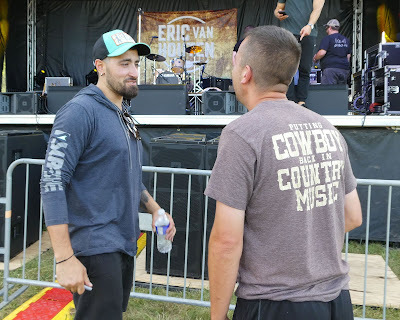 On Thursday, July 19, 2018, I got a chance to catch up with Eric Van Houten for a quick interview before his performance at Jamboree In The Hills in St. Clairsville, Ohio. The performance took place later that night on the Jambo After Dark Stage. This was a fan voted contest that he won to perform on this stage. 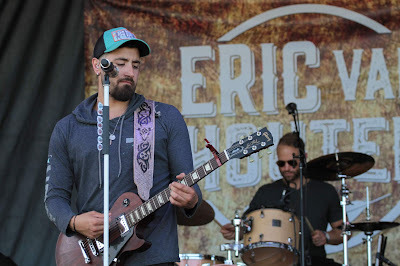 Eric is from just outside Buffalo, NY and has been living full time in Nashville, TN for three years. He is just waiting on the contract approval between lawyers, but is in the process of signing a publishing deal in the next month with a major writer who has 43 number one singles to his credit and is starting his own company. Eric will be the first signee. 1.) Since moving to Nashville have your artistic goals changed at all? We are just working every day to build the story first. Trying to model my career after a Luke Combs or a Kip Moore and hope to someday find a label affiliation that sees the work we have put in to gain new fans all the time. What has also matured since I’ve moved to town is finding my niche and the way we want to sound. 2.) What were some of the venues that have stood out to you that you got to play? Taste of Country in Buffalo, NY done by WYRK every June with 26,000 in attendance, 12th and Porter in Nashville, TN, Winners - Whiskey Jam, Tin Roof - Demonbreun for “Bus Call” which is on Wednesday night before the artists leave to head out of town. 3.) Thoughts about playing the Jambo After Dark stage? It was a fan voted contest and were you surprised you got the most votes? The Lydo Family in West Seneca has been coming here for about ten years. I have been trying to play here for about five years. All of a sudden one day I get a text with a screenshot from them saying they submitted my name in a contest to perform here. The list was down to two names and we were one of them. They did a fan vote after that for 24 hours. We started out a little behind but by the end of the day we were able to get enough votes to win. It is a really cool experience with a huge stage and excellent sound. 4.) Dream person to collaborate with? He isn’t exactly country, but it would be a lot of fun to perform or do a show with Johnny Swim. 5.) How many shows do you perform a year currently? We are always trying to grow to new places and adding as many dates as possible. We have been fortunate enough to grow to different cities over the past few years. 6.) Is there anything you’re working on that you would like to highlight? We are releasing a new single in mid- August or beginning of September called “Come Find Me” and it will be the first new music released in a year and a half. 7.) What does Country Music mean to you? It is the same as before and always has the ability to adapt. It really is a genre that has open arms to all styles that are coming up. 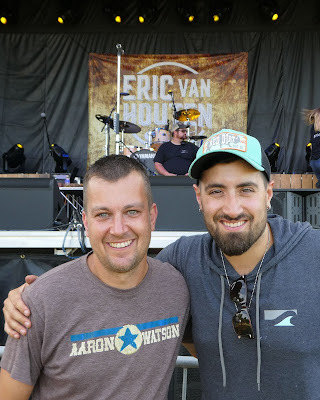 To find out more about Eric and his music, you can check out his website at www.ericvanhoutenmusic.com and connect with him on social media via Twitter, Facebook, Instagram and Youtube. Eric's self-titled EP is available on iTunes, Spotify and Google Play.